I’m back from vacation and getting back into summer work projects. My folder of professional readings had gotten much too full since last summer, so I’ve done at lot of reading this week. Blogging a summary (sometimes with a bit of commentary) helps me slow down and ponder the ideas and experiences being discussed. Hopefully these summaries are useful to a few of you too. The topic focus as usual is on liaison work and business librarianship. More to come in July. The authors interviewed seven OSU liaisons and five faculty members. The questions to both groups are provided in the appendix. Findings: Relationships take time to build and significant energy to maintain. Liaisons need to be proactive to build relationships. Both the liaison and the professor need to benefit from the relationship for it to be successful and sustainable. Many examples of how to make first contact are provided (none surprising to a liaison who has been around the block already but a useful list nonetheless). The authors also summarize reasons for failures: “Most liaison librarians indicated that the major deficiencies centered around poor communication, built-in systemic limitations, “poor chemistry,” meager planning, and faulty timing” (279). The relationship needs to start with a connection, shared experience, or an existing need. Faculty value liaisons who follow technology trends and “share their secrets”. “Good relationship building represents a constellation of traits, values, and skills. Chief among them are patience (relationships take time), knowledge (know your constituency and your discipline), follow-through (go the extra mile), sincerity (treat every interaction as your most important), responsiveness (acknowledge all requests and respond promptly), and finally, individuality (customization for classes or interactions) is essential” (280-81). This would be a good warm-up article for a liaison workshop on the topic. Solis is the Director of Research and Instructional Services at UNC Chapel Hill, and King (who used to work there as the Social Science Librarian) is Director of Library Services at Nevada State College. “1. Recognition that selling is a positive and necessary part of a liaison librarian’s role. King and Solis provide details for each point. They propose the SPIN® Selling method as the best method for “selling library services”. After defining the elements of SPIN, they provide a hypothetical interview of a prof by a liaison that applies the SPIN method. Important stuff and well-written. I appreciate library writers who have the audacity to suggest that certain teachings from the business world can help libraries improve their value to their users. Next Jefferson discusses redesigning her class from Bloom’s Taxonomy to L.Dee Fink’s Taxonomy of Significant Learning, which facilitated a focus on the ACRL Framework. 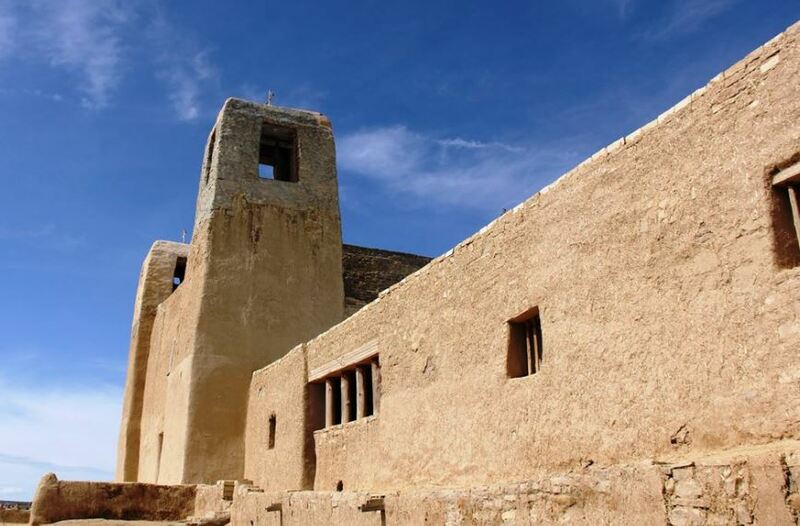 Her article then provides lesson plans (activities and discussions) covering the six thresholds of the framework. Interesting ideas for introducing some of those threshold concepts. Since 2005, Raymond’s library has been cancelling individual journal subscriptions in business and economics when coverage in aggregator databases is considered “sufficient”. He defines sufficient as “no publisher-imposed embargo” except for journals “considered of only marginal value to the SCU research community” (p. 30). 75 subscriptions have been cut in his subject areas for a savings of $22,750 over the ten-year period (he provides the list). The cuts were never announced to faculty because faculty don’t care if the article they want comes from a publisher or aggregator, Raymond asserts. He adds that there has not been a single complaint about the cancelled subscriptions since this process began. Raymond provides some thoughtful cautions about this strategy and speculates on what would happen to the publishing industry if many libraries adopted this strategy in all subject areas. This is a three-credit, elective class taught twice as a pilot project (as of press time). Leavitt provides the syllabus and other class materials at http://libguides.lib.msu.edu/BusinessIntelligenceResources. Course objectives, student learning outcomes, and the topic outline are included in the article. Leavitt is one of four business librarians in the business librarian. Most business instruction at MSU is one-shot, although there have been some embedded engagement with classes too. The librarians had built a strong connection with the one-credit, first-year orientation class for business students. The librarians have taught one of those sections for five years, incorporating some research instruction. After “years of informal advocacy with key decision makers in the College of Business” (p. 277), the librarians were asked to develop a credit class and begin teaching it only five months later. The proposed class was given a BUS course designation, which allows it to be developed without going through a departmental curriculum committee (I think): BUS 291(2): Business intelligence resources. Enrollment was capped at 30 and ended up being open to all class levels and majors. It met twice a week. “The course was designed to be an introductory-level course that would inform the students’ work in other courses as they progressed through the business curriculum” (p. 278). The course objectives owe much to the ACRL Standards (the framework wasn’t out yet). As many of you know, there isn’t a focused textbook for classes like this. The MSU librarians used a mix of readings and videos, including portions of Berkman’s The Skeptical Business Searcher (2004) and Ross’ Making Sense of Business Reference (2013). The “Assignments: The good, the bad, and the ugly” section of Leavitt’s article is very interesting. The students found much value in the regular discussions of Financial Times articles, with a focus on the sources of information used in each article. The students also appreciated writing reviews of popular business books. Leavitt writes “It is an interesting observation that both of these more successful assignments required close reading of new material, reflection upon and discussion of that material, and writing an analysis of what was read—none of which are possible in a one-shot class.” (283). The librarians also had the students watch a video of an entrepreneurial pitch, breakdown the pitch using the business model canvas framework, and then use databases to test the entrepreneur’s assumptions. In the conclusion, Leavitt notes the high value of being able to spend 3 hours a week with students compared to one-shots. Assessment was also much more meaningful. The class was a rewarding experience for the teachers. They gained more visibility for teaching it – among both students and business faculty. A limitation of the class is of course the time involved in teaching it. It’s not scalable to all business students unless many more librarians were hired. And there might be issues with compensation. Some of us discussed these issues recently. Lane Wilkinson, Instruction Librarian at the University of Tennessee at Chattanooga. This is an interesting blog. Wilkinson is thoughtful and often cuts through hype and bandwagon-thinking. His examinations of the framework are examples. This post is elaboration on his LOEX presentation last month in Lexington. He provides specific suggestions (ex. don’t use controversial topics as search examples) as well as relevant psychological theory. The authors spoke on this topic at ACRL last spring and also led a #critlib Twitter discussion. Critical business information literacy = “the application of social justice to business information literacy” (135). The article address “What does it mean to be an ethical businessperson, and how does an ethical businessperson create, locate, organize, and evaluate business information?” (135). After a long lit review of the library and business education literature, the authors provide examples of best practices from their teaching experiences. One challenge is the time constraints of one-shot instruction. The University of Washington librarians discuss student-centered, active learning exercises on source evaluation as one technique for one-shots; students are given much freedom to shape the workshop content. At California State University–Monterey Bay, the business librarian provide a one-shot (one hour in a lecture hall or two hours in a computer classroom) session for the required “Business Communication, Ethics, and Critical Thinking” class. The students analyze the website of a nonprofit serving a homeless population. So the one-shot includes a discussion of the causes of homelessness. The Purdue librarian writes about her 3-credit “Making Greater Lafayette Greater” research class (which Ilana has written about in this blog and elsewhere). The class has an “explicit egalitarian focus” on under-privileged groups in the city, discussing economic development failures as well as successes, and local economic and market trends, not just the national trends that are much easier to research. Unfortunately, the article doesn’t provide any evidence of impact of the critical business information literacy focus on students. I would have liked to seen a few quotes from students at least. Against the Grain, Feb. 2017, pp. 69-70. Gruenberg was a senior sales executive in the info industry and now runs a consulting firm. In his February column, he asserts that most vendors are very aware of their operating costs, target margins, the costs of competing products, and the prices the market can bear. After describing some pricing situations vendors face when selling to academic and public libraries, Gruenberg focuses on how flexibility in the “T & C”’s can help the vendors make a sale (and get renewals) and improve the deal for the library. But the libraries have to make the effort to suggest changes as part of the negotiation. Gruenberg suggests asking the simple question “Can you defend your price?” whenever the proposed pricing doesn’t sound reasonable to the library. University of Houston Business Librarian Orolando Duffus pointed out this article to me. The authors describe the first two years of their new advisory board, its challenges and successes, and recommendations for other libraries. Creating the board was a response to significant growth in the Liaison Services Department (11 to 21 people since 2011). The department had two co-department heads plus four functional coordinators. (We have a similar set of coordinators here who serve as leaders of our cross-departmental liaison teams.) The department heads wanted to provide the coordinators with increased opportunities to develop leadership skills through project management. Projects included training sessions for the liaisons and team-building activities. Year two featured peer-mentoring discussions. The department heads also began to include the coordinators in strategic planning. Finally, the board also assessed liaison services, growth opportunities, and future needs. The board struggled at first with defining exactly what it was, but ended up working together well to support peer-mentoring and a higher level of trust. Two of the coordinators ended up promoted to “higher positions” (official supervisors or department heads, I assume), an indication of success regarding the emphasis on leadership development. The authors recommend peer-mentoring for library leaders and providing project management opportunities. This is an interesting take on liaison organization and leadership development. I would be curious to read the perspectives of the liaisons working under this leadership system. I also wonder if the only opportunities for gaining leadership and project management skills in this library are through serving as a department head or coordinator? The same Academic BRASS issue includes a “Google Bucket Activity Lesson Plan” by Grace Liu of the University of Maine customized for a company and industry research assignment. Student teams compare content found through Google to subscription business database content. A group of business librarians and vendors are going to be working together to propose some programs at the Charleston Conference this fall. There will also be a vendor-funded social or two. This is an annual conference on publishing, vendors, scholarly communication, open access, open education resources, and user behavior*. 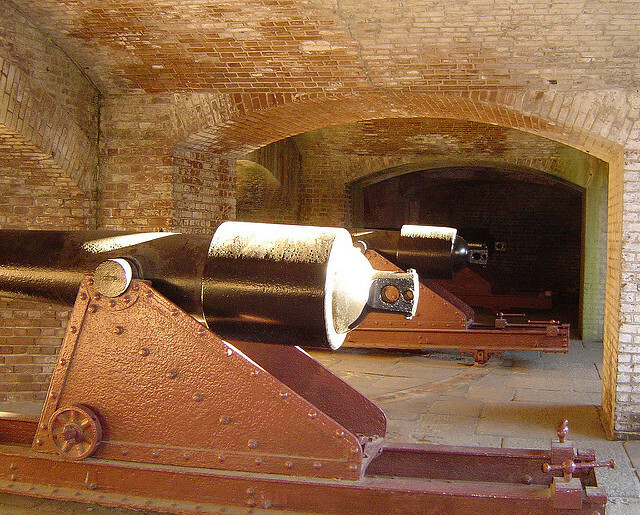 Like LOEX, Charleston is a mid-sized, high-quality conference providing three days of rich programming. Its schedule evolves a little each year, which keeps things fresh and librarian-centered. There is only one day of exhibiting, so for the rest of the conference, the publisher and vendor reps are freed to attend and even contribute to programs, which usually leads to deeper discussions of issues and opportunities. Over the last few years, a small number of business librarians have started to get together for informal chats. Last year, there was a “lively lunch” discussion with four of us as well as vendor friends John Quealy (S&P Global) and Dan Gingert (PrivCo). Nora Wood also provided a lively lunch with a colleague on liaison issues. More business vendors have exhibited in the past few years. We might invite a few vendors to speak with us too, depending on the topics and formats we come up with. Three vendors have offered to host social gatherings in 2017. This is a wonderful historic and walkable city for food and drink. So we encourage more business librarians, publishers, and vendors to attend, discuss, debate, and socialize. And submit programs! Please contact any of us with questions about this conference. *Yes, its official subtitle is “Issues in Book and Serial Acquisitions,” but that is a historical legacy and so you shouldn’t hold that subtitle against it. LOEX has a funny full name too! Thanksgiving break has begun, but the library is open today (Wednesday) and I was actually eager to come in to work to clean up my desktop, go out for Greek food for lunch with friends, and do a bit of writing. Between last Friday and yesterday, the search committee for the professor of international marketing conducted nine interviews of candidates via Webex. We allotted an hour to each interview. So that was a lot of time to spend while also covering last-minute research consultations. But I had my last one-shot instruction session last week Monday, and submitted two long USASBE workshop proposals before their last week Tuesday deadline, so now my stress level is pretty low. Those might be subjects for future blog posts, but first I want to write about what the business librarians and vendors were up to at the Charleston Conference in early November. 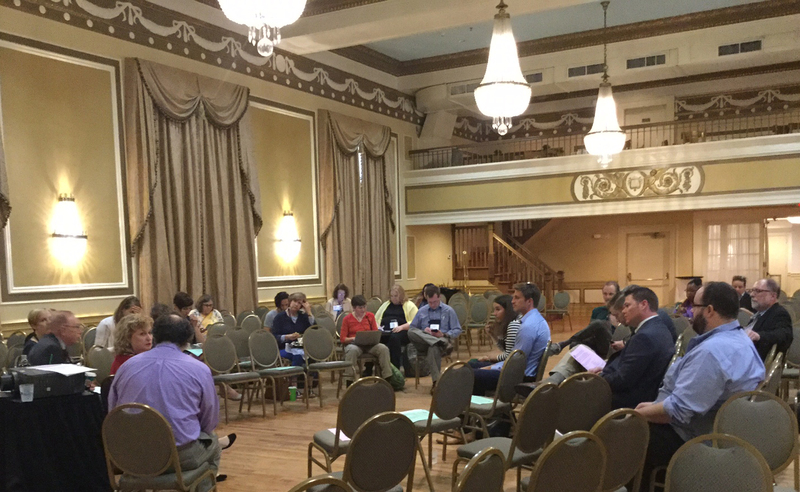 Two years ago, five business librarians gathered in the late afternoon at the Charleston Conference to share notes. We expressed an interest in having business librarianship programs each year at the conference. Last year, I think there was another informal get-together (I didn’t go to Charleston that time). But this spring four business librarians and two business vendors worked together on a “lively lunch” discussion proposal, which was accepted. 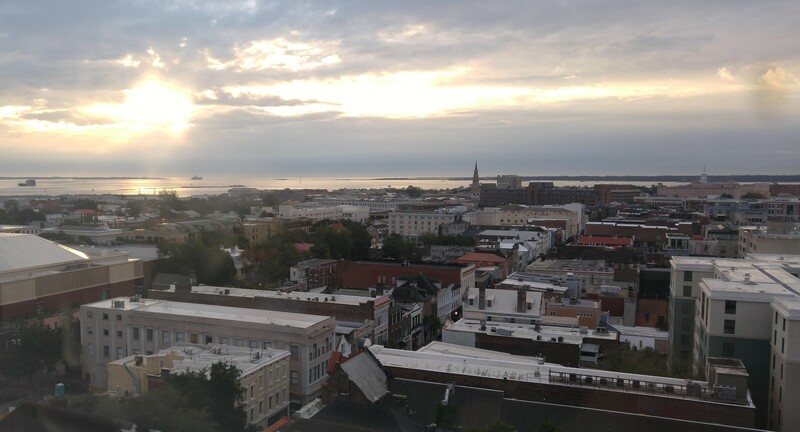 The Charleston Conference meets in Charleston S.C. in very early November. As I’ve written before, I really like this conference for allowing publishers, vendors, and librarians to participate together throughout the conference, rather than banishing the vendors to the exhibit hall the entire time. The programming is high quality and varied (plenaries, panels, lively lunch discussions, posters, lightning rounds, Shark Tank-type pitches (new this year), parties, and dine-arounds). The conference sites are close together. And even though collections are now a minor part of our liaison roles here at UNCG (as covered in my “liaison reorganization” thread), there is enough programming regarding liaison roles and scholarly communication advocacy that I stay interested. Plus business content! The title of our program was ““Why business content subscriptions can drive us crazy, and what to do about it: A dialogue with business librarians, business vendors, and the audience on best practices and solutions”. Our program description is below if you are interested. The four librarians are writing a conference proceedings article (due December 1) that will be openly available. I’ll post a link to that article when it becomes available. The Charleston Conference “lively lunches” are intended to be discussions, not presentations, in the midday time slot. Some folks do bring a lunch but most of the attendees ate before or after. We were assigned the large Gold Ball Room in the Francis Marion Hotel. While we did arrange chairs into a couple of concentric circles, this was a challenging location given the room’s size. There was no portable mic, so folks sitting in the back had to listen carefully to hear everyone. But it worked out fine. Around 40 folks attended. 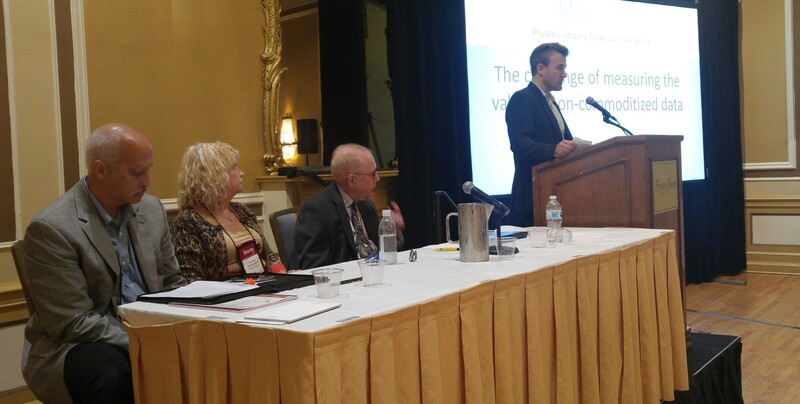 About 1/3rd of those folks were vendor representatives: in addition to S&P and PrivCo, Bureau van Dijk, InfoGroup, OCLC, Oxford University Press, Ebsco, and ProQuest representatives attended – and many, as we hoped, participated in the discussion. The librarians included other business librarians, electronic resources librarians, and collection development librarians. Below is a summary of points made in our discussion. Many vendors and librarians thought the discussion was very useful and agreed that we should try to submit business content programming every year to the Charleston Conference. Bureau van Dijk even offered to host a social next year (thank you, BvD friends!). So we will see what we can make happen next time. If you have interest in attending Charleston but have questions about its value, logistics, etc., or want to share a programming idea, please let any of us know. As you probably know, it can be hard to take notes about a program you are in the middle of. So I’m sorry if this summary seems fragmentary. I promise that the conference proceedings article will be more detailed. This summary reflects comments from both librarian and vendors. It was a frank, open, friendly discussion that never turned into an “us versus them” discourse. Betsy’s role in the discussion was to summarize the exchange in the form of best practices. Most of these points are thanks to Betsy. Open, clear, honest communication between business librarians and vendors is key. Librarians need to understand our users’ research needs AND need to protect our subscriptions, limiting access as much as we can to authorized users AND authorized usage. Vendors need to understand the access challenges of serving a business school or an entire campus. Vendors also need to understand the typical academic calendar and patterns of database usage. For example, for some subscription content, most of the usage comes in one short time period within the fall/and spring semester. And of course, vendors need to understand the budget challenges many of our campuses go through every year. We talked about potential abuse of our academic licenses. Student consulting projects, experiential learning, tech transfer support, and internships are blurring the lines between academic and corporate use. In general, the librarians emphasized that we need to tell our students to share their summaries of the research in our databases for such projects (well, internships may have additional issues) but not to share the downloaded content. In general, business librarians should educate our students about database licensing restrictions as part of our information literacy or “information has value” discussions. Cite the university honor code. Many vendors need to put more effort into providing standardized usage data (ex. Project COUNTER). Law librarians have many of the same issues with legal vendors, so there was a suggestion for business librarians and law librarians to talk about our shared issues. Business databases have a reputation for being expensive, having problematic licensing terms, and generally being a pain to work with. This reputation is particularly common among collection development and e-resources librarians in general libraries. In addition to affordability, issues can include licensing restrictions to specific campus populations and locations, requirements that users create personal accounts, severe download restriction s, not working with consortiums, and shutting down summer access to prevent usage by student interns. On the other hand, business vendors must design their products and licensing to work with many types of customers: corporations, government agencies, consultants, and academia. Their content is often very expensive to produce, and vendors sometimes have to license content from third-party providers that have their own pricing and licensing issues. To help better understand why business databases can be challenging to work with, and to propose recommendations on how libraries and business vendors can best work together, a group of business librarians and business vendors will lead this lively lunch discussion. The librarians will represent both business libraries and general libraries, and will present case studies representing different types and sizes of campuses. The vendors will represent specialized business content publishers. Together we will discuss how business information is different, why business vendors behave differently, examples of challenges in working with business vendors, examples of challenges in working with libraries, and recommendations & best practices. We will invite audience participation throughout. 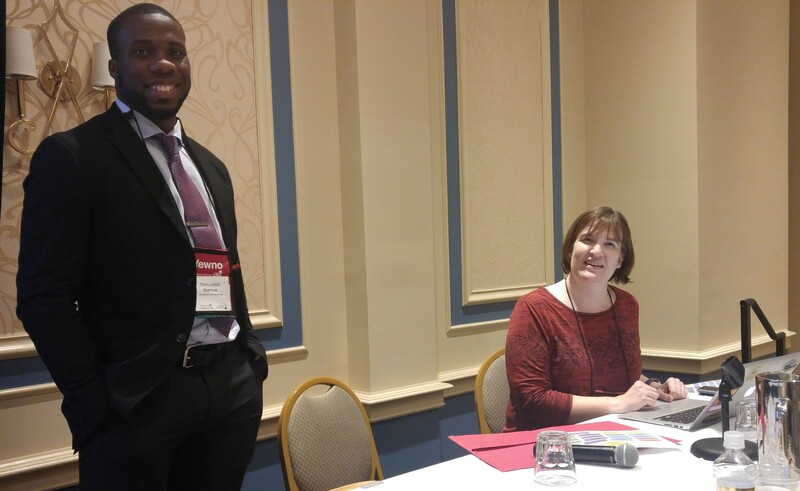 As Cynthia Cronin-Kardon from the University of Pennsylvania announced on BUSLIB recently, a group of librarians are working on creating business librarian programming every year at the Charleston Conference. This year, Cynthia, Betsy Clementson from Tulane, Corey Seeman from the University of Michigan, and I are facilitating a “lively lunch” on the topic of “Why business content subscriptions can drive us crazy, and what to do about it: A dialogue with business librarians, business vendors, and the audience on best practices and solutions”. Also joining us will be John Quealy from S&P and Dan Gingert from PrivCo. As I’ve posted before, this is the best conference for discussion of trends in collections, publishing, licensing, and open access. Publishers and vendors participate in many panels and discussions, as opposed to being banished to the exhibit hall all conference long. And Charleston is a wonderful city for history, art, strolls along the rivers, and enjoying fancy food and drink. So we encourage business librarians, business vendors, and anyone else who has to work with business content as part of their job to join us. Congrats to Orolando Duffus for being named ACRL member of the week! For so many of us, search committees are a year-round concern. My department (Research Outreach and Instruction) recently hired a new department head, the amazing Amy Harris, who was our internal candidate and so there will be another search next year to replace her old position. But first we will have a search for an Online Learning Librarian based here in ROI. This is great news. After budget cuts a few years ago, we ended up with one of those dreaded Frankenstein positions — Electronic Resources & Distance Education Librarian — formerly two full time jobs. Long-time readers know this blog don’t usually get into negative stuff (I’m not a very annoyed librarian I guess) but creating that kind of unsustainable position was pretty sad and probably reflected a momentary lack of leadership. When resources are scarce, we need to prioritize and consider making a difficult decision about staffing, or maybe consider if a team approach would work using existing staff. Anyway, Kate Hill, whom we hired for that Frankenstein position, is highly skilled and is working extra hard to try to keep up, but it’s simply not feasible for one person to handle that workload. Hence the new position. Kate is looking forward to “just” being an ER librarian (and pursuing tenure, etc.). I really like how the DE librarian will be based in our liaison department, emphasizing the public service focus of that kind of position and how this person will work with us liaisons supporting DE classes within our subject areas. My colleague and office neighbor Karen Grigg, Science Librarian, was asked to chair this search since she did such a good job chairing the Frankenstein search. And one more bit of somewhat related news: I’ve been asked to serve on the search committee for the business school’s next professor of international marketing. My long time teaching partner Professor Nicholas Williamson is finishing his phased retirement this year. His department, Marketing Entrepreneurship Hospitality and Tourism (ok, yes, another Frankenstein thing! but MEHT is full of strong library supporters) wasn’t slated to get another position to replace Nick (not sure why). But the business school dean told the provost that the Export Odyssey project might be finished after this year, and the provost replied “We can’t have that.” So she gave MEHT an extra position. Since I co-lead that project, the MEHT department head asked me to serve on the committee. This is my first time serving on a search committee for a prof. I’ll write a post later about the experience and how it was different from librarian searches. Does anyone have experience with professor searches and would like to share? This is kind of a sequel to my “Confessions of a search committee chair” post from last winter. This spring, a librarian emailed me to ask for advice on interviewing for a business librarian position for the first time. She was particularly interested in how to make the mock research workshop stand out. I waited a while before sharing this here, removing any identifying information. Hopefully this is useful to others. Demonstration of specialized subject knowledge. Market research as a topic would certainly give you an opportunity to do this, especially if you demonstrate comfort with and knowledge of statistical data (ex. demographics, spending data, psychographic data). The Economic Census or other financial data benchmarking too. I guess trade data would be another example, although that’s maybe too specific/rare a research need for many campuses. Related to that, demonstrated familiarity with specialized business research tools. Most librarians are comfortable with the catalog and Ebsco and ProQuest databases. No big deal. But far fewer are comfortable with American FactFinder and the BLS.gov tools for finding statistical tables, let alone SimplyMap or DemographicsNow or Business Decisions or Euromonitor Passport (depending on what subscription tools for market data would be available). Lots of professors don’t know data tools well either. I see evidence of that at the business professor conferences I’ve started attending. Active learning exercises, tied to the needs of the research project/assignment of a particular class. So leading a discussion about how the Census is conducted (the decennial version as well as the American Community Survey — most students know something about the decennial census at least, which helps get the discussion going) as opposed to just lecturing, and then looking up some basic tables to highlight the main points (ex. “note the data from 2015 – so is that from the decennial Census or ACS? — also note the margins of error provided – why is that there? Yes, right, it’s a survey…”). Then later asking the students to find some information or data and then reporting back what they found and how they might be able to apply that to the project at hand (for example). So to do this you would really need to come up with a fake project to teach to. I would be happy to share one with you from UNCG if you would like (of course you could change details to fit your local situation). A few suggestions about SimplyMap (sorry if you are already aware of these issues! ): most campuses have simultaneous user limits in their SimplyMap subscription (it’s 10 users here), so that may impact access to your mock students. I would suggest emailing Steven Swartz asking for more concurrent seats at that campus for your day there. I’m sure he would be happy to help. Also consider if you want everyone to create their own accounts (which requires checking their email to confirm) or using the S.M. guest access. I agree that AFF, BLS (ex. the CEX data), and SimplyMap make an excellent progression of sources — if you have time for all three– for example using the much more detailed consumer spending data in SimplyMap, or ending with the psychographic data (if the MRI or SimmonsLocal modules are provided at that campus). 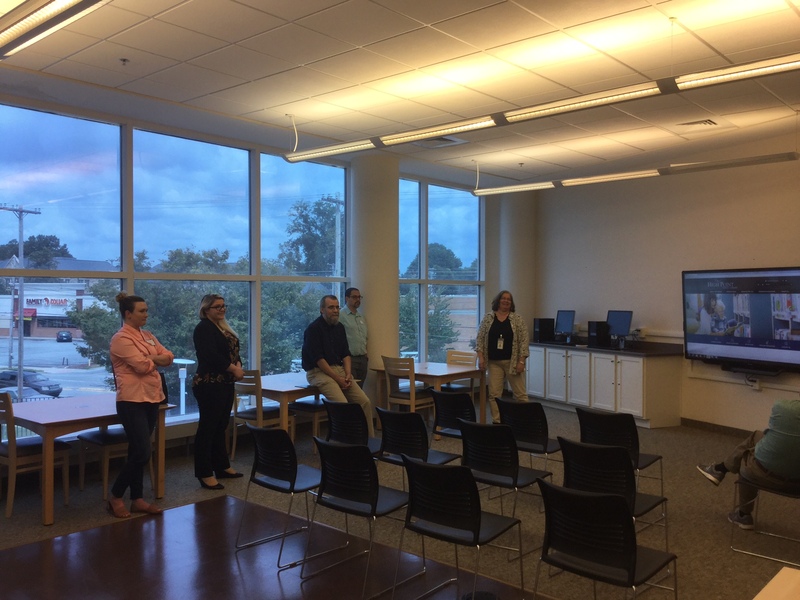 BLINC (Business Librarianship in North Carolina) met at the High Point Public Library yesterday, the 3rd day of classes at UNCG. This should be an interesting school year. with some new experiences to write about. I’m not sure yet how some of them will turn out! The “4th sector community” phrase was new to me. Dan explained it basically as companies with a social entrepreneurship focus (ex. on local food, the environment, or social issues). We learned that Dan is a Sullivan Foundation Fellow at Campbell! He is the only Sullivan Fellow who is a librarian. Very cool. As a fellow, Dan works with 3 classes in the business school, all required for business students in (generally) their first, second, and third years. He framed his introduction to the 4th sector as “finding good work” (identifying a local need) and “funding good work”. Dan led us in a discussion of the ecosystem (including regulatory issues) in our state for nonprofits and 4th sector. 4th sectors companies in Dan’s rural Harnett County include mainly lifestyle companies: a bicycle shop, dairy farm, green/sustainable organic farm, a river adventures service outfit, a golf development/training company for “juniors”, a video production company, and the new Arts Council. Moving into the funding good work aspect, Dan played for us a video about Detroit SOUP and talked about similar efforts in North Carolina. Some of his students are working on a SOUP project in Harnett County. Dan concluded by getting into aspects of financial literacy. Instead of investing in multinational public companies via traditional investments, what about investing in local start-ups? He play a portion of a TEDx Piscataqua River talk by North Carolinian Carol Peppe Hewitt titled “What if you couldn’t scare me?” Hewitt is founder (I think) of Slow Money NC and has worked with Dan. The point of her TED talk title: we are scared into investing in big corporations as being necessary for our financial solvency and retirement savings. Instead, we should invest in local small business doing good work locally. 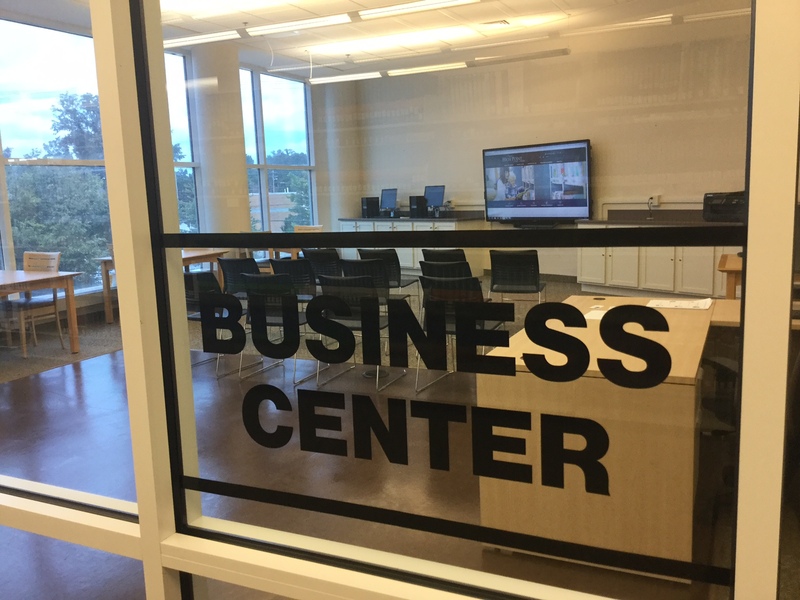 After lunch at a downtown Asian bistro, we looked at the library’s new business center. 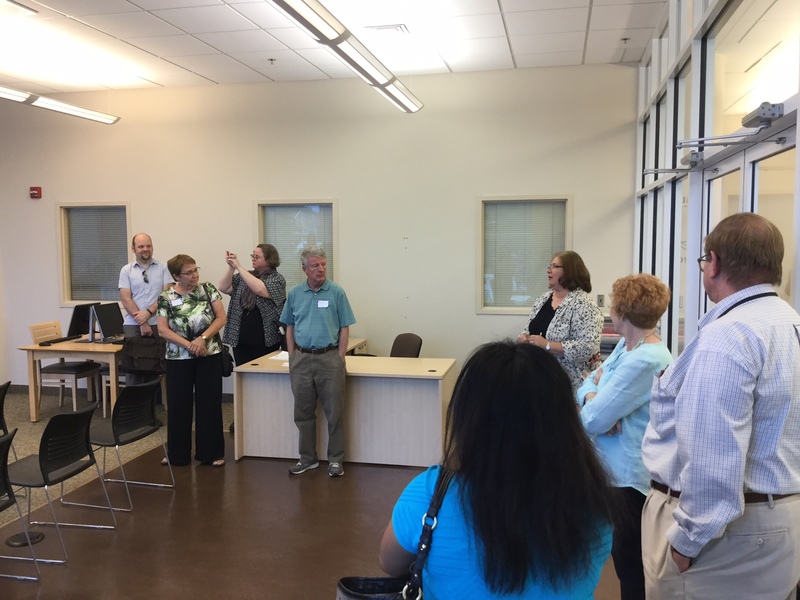 High Point Public just created this attractive and flexible space to support the library’s economic development work: workshops, consultations, and connecting entrepreneurs with other local support centers. The space is part of the library’s response to the city’s strategic goal of keeping more young business owners in High Point and not moving to the bigger cities in the state. Virginia Lewis, their department head, discussed their funding efforts to get the room and its tech set up. John, Vicki, and Casie (a community liaison librarian) will be leading this initiative. Creating more partnerships with other organizations is one of the outcomes that will be measured by the library and reported annually to the city and other stakeholders like the local chamber. Impressive, proactive work. Back in our conference room, Heather described her trip to Omaha to attend the ReferenceUSA User Conference for public librarians in May. She attended as our NC LIVE rep, our state-wide database provider. 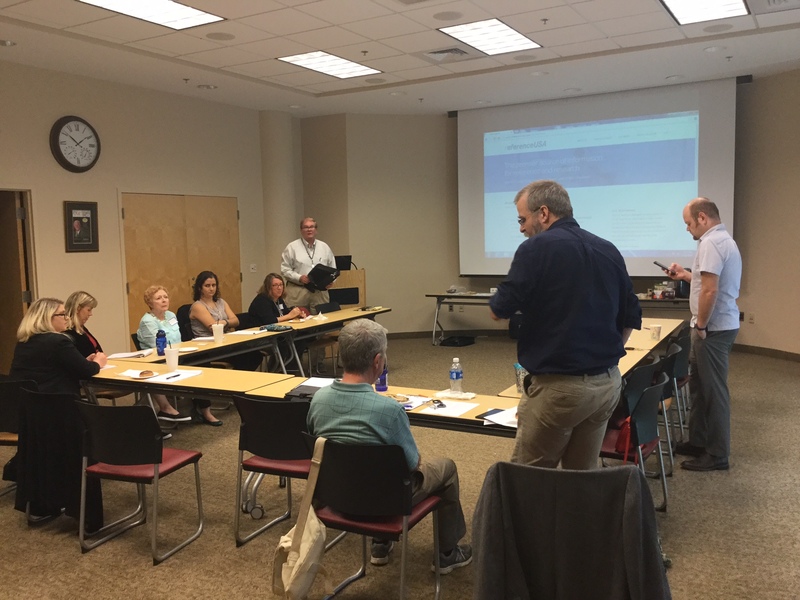 I assumed this was mainly a focus group event, but Heather reports that the event instead focused on training the librarians and explaining in detail InfoGroup’s data collection and quality control practices – still certainly worthwhile. Heather told us that InfoGroup wants ReferenceUSA to be closer associated with entrepreneurship research. The company is also promoting the database as the best source for closed businesses (part of the U.S. Businesses module). Social media links are being added to the establishment records. We then got into an interesting discussion of SimplyMap versus ReferenceUSA U.S. Consumers/Lifestyles module for market data research, and where the data comes from in each product. Or course, SimplyMap is a collection of datasets with different methodologies, so we had to break down our discussion a bit into Census data v. survey data (ex. MRI and Simmons) v. the subscription and online purchase data used heavily by InfoGroup. This topic, the nature of the data, and how to make conclusions (ex. what is my local market size?) using these tools would be an interesting future BLINC workshop. We ended the BLINC workshop with Lydia providing an update on the Foundation Center and then asking us for possible dates for our next workshop. NC LIVE has asked BLINC once again to review the NC LIVE business database mix and make recommendations for its 2018-2020 subscription package. BLINC has provided this service to NC LIVE every three years since 2008 or so. Always an interesting discussion for us, as we compare and debate the needs of our patrons (not necessarily the same needs!) and the best databases to serve those information needs. That will happen in November and December, with our report due to the NC LIVE officers on New Year’s.